One of Di-Modell's perennial bestsellers is the Rallye model. 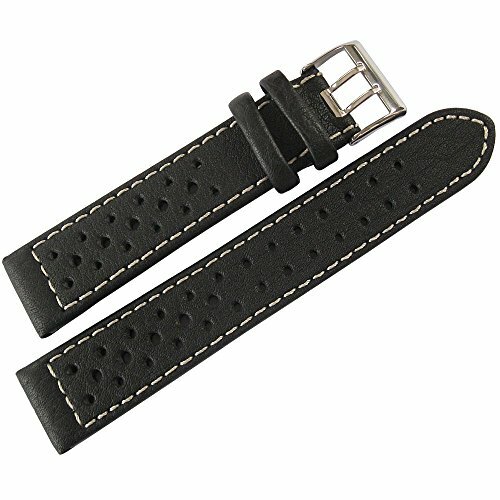 Part of the Air-Ter-Mer Sport collection, this style has a sporty perforated pinhole design that also allows air to flow between the strap and your wrist. Waterproof to 100m. The keeper is protected and stabilized with a red loop anchor. Off-white contrast stitching. Di-Modell is revered for its high standard of craftsmanship and attention to detail. Each strap is manufactured by its team in Tauberbischofsheim, a small town in northeast Baden-Württemberg, Germany.